Two more go! The tenth episode of the eighth and final season of Dexter aired a couple of nights ago. 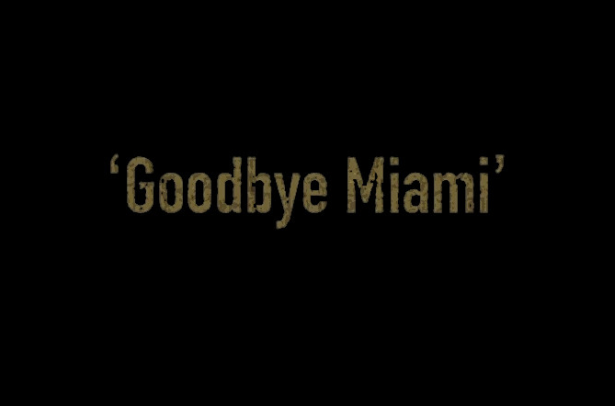 "Goodbye Miami" is written by Scott Reynolds and Jace Richdale and directed by Steve Shill. Skip the jump to read our thoughts on the episode, vote and discuss, (in case you didn't). So... "Goodbye Miami". Dexter spends the majority of the episode trying to set a trap for the Oliver Saxon, aka The Brain Surgeon. +The episode picks up right were "Make Your Own Kind of Music" left off. Saxon reminds Vogel her mistakes she did in the past. +Hannah and Harrison... reunite at Deb's house. Dexter is determined to leave Miami. +Dex tells Deb about his plans. She's dissapointed. +Vogel visits Matthews at Miami Metro to talk about Zach. +Then she and Dexter are having a conversation about Daniel. +Batista learns from Dex that he's about to quit his job, and leave Miami. Angel is upset by the news. +Daniel takes Vogel to his kill room where he killed his victims. He makes her sit in the chair where his victims lay. Daniel tells her that he wants Vogel to teach him how to live free in the world just the way Dexter does. +Quinn and Jamie split up. Awkward moment for both of them, especially for Jamie! +Deb tells Dexter that she wants him and Harrison to be happy, even though her whole "family" is moving. +The next day Vogel visits Dex at his apartment -for the first time I think-. He shows he a video of Saxon kill Zach and insists that there's no hope for him. + Deb is playing with Harrison when the US Marshal, Max Clayton, shows up. He's convinced Hannah and Dexter are together. Deb has to lie to Clayton about their relationship. Deb quickly tells Hannah about Max Clayton's visit. + Later, Harrison gets hurt while playing on Deb's treadmill. Hannah decides to take him to the hospital, and she's afraid that she'll be recognized. +Dexter is setting up his kill room for Saxon. This has to be the first time we see him doing this, this season. +Deb goes to tell Batista she wants her job back, and he tells her what happened between Quinn and Jamie. +Clayton learns that Hannah signed in as Debra Morgan in the hospital and brought Harrison in. +Harry reminds Dexter that he needs to focus on Vogel. +Saxon is invited at Vogel's house for tea. She's pretty nervous, about Dexter but... Saxon is again one step forward. +By the time he's able to get to her house, Daniel slits her throat in front of the window so Dexter can see. +The episode ends with Dexter cradling Vogel body, and crying. What did you think of episode 8.10 "Goodbye Miami"?